Helping people deal with problems ranging from short-term personal issues to chronic conditions, clinical psychologists assess, diagnose, and treat mental, emotional, and behavioral disorders and enable people to make positive changes in their lives. A career in this field can be ideal for those who love to help people as well as those with strong communication and interpersonal skills. What does a Cinical Psychologist do? Clinical psychologist uses a number of methods in order to help people. These may include interviewing patients, giving diagnostic tests, and providing psychotherapy. Some of these professionals also focus on certain groups of people, such as the elderly or children. A clinical psychologist may specialize in a particular field of psychology such as health psychology. These professionals study how psychological factors affect health and cause illness. Neuropsychologists, on the other hand, study the relation between the brain and behavior. 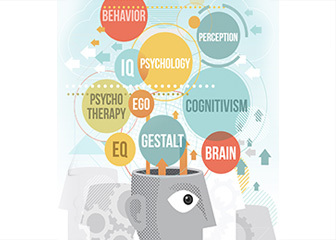 Clinical psychology programs help you learn about, and analyze, how people’s minds work. Students who wish to pursue a career in clinical psychology need to complete a graduate education. They must also obtain a license to practice. Generally, clinical psychologists hold a doctoral degree. You can pursue a PhD in psychology or a Doctor of Psychology (Psy.D.) degree. While a PhD is research based that includes an exam and a dissertation based on original research, the Psy.D. is a clinical degree generally based on practical work. These degrees may also be offered online. Students can also enroll in the hybrid programs that allow them to take some classes online and complete other coursework on-campus. If you wish to enroll in a doctoral in clinical psychology, you must hold a bachelor's degree from an accredited school. Some programs may require you to complete coursework in introductory psychology, experimental psychology, and statistics while others require a master’s degree in psychology. Other requirements for admission may vary by program. Clinical psychology programs may also include topics in addictive disorders, marriage and family counseling, and research methods in psychology. Neuropsychology deals with the relation between the brain and behavior. Experts in this field work with those suffering from head injuries and strokes. Health psychology refers to the social and physical aspects affecting health. Counseling to promote healthy living is part of this angle of clinical psychology. Geropsychology deals with the psychological issues faced by the elderly. Some clinical psychologists may work only with children or young adults. According to the U.S. Bureau of Labor Statistics (BLS), employment of clinical psychologists is expected to grow at the rate of 11% from 2012 to 2022, which is about as fast as the average for all other occupations. Increased demand for psychological services in schools, hospitals, mental health centers, and related settings is expected to drive the demand for these professionals. According to the data published by O*NET OnLine, there were about 145,000 clinical psychologists in the U.S. in 2012. Between 2012 and 2022, another 55,900 clinical psychologists will be required to look after people with different psychological issues. Some clinical psychologists work in research organizations and academic institutions where they are responsible for conducting research. Besides, police departments also hire clinical psychologists; military requires the services of these professionals as. Additionally, some psychologists also set up their own private practice, while others may work on part-time basis as independent consultants. These professionals may work during evenings or even weekends. Clinical psychologists who work in hospitals, nursing homes, or related settings may also work evening and weekend shifts. Can you tell me about the job description of a licensed clinical psychologist? What degree do you need to be a clinical psychologist? Q:What are the benefits of pursuing an online clinical psychology degree? A:An online degree in psychology will allow students to prepare for psychology careers without having to attend campus based classes. There are a number of benefits one can get by enrolling in online programs such as the following: low costs, flexibility, no time restraints, and self-paced course structures. Online education is suitable for those who not have the time or access to campus schools. Q:What are some of the clinical psychology online degrees available? A:Online clinical psychology degrees are available at several academic levels such as master's of science in clinical science degree, while doctoral programs include doctor of philosophy in psychology and doctor of psychology. These degrees offer various clinical psychology concentrations so students can align their academic goals with the programs they pursue. These specializations include neuropsychology, geropsychology and health psychology. A:Clinical psychology is a branch of psychology that focuses understanding, preventing, and treating psychological disorders. Clinical psychologists are required to promote behavioral well-being of individuals. The field integrates clinical knowledge, science, and theory of psychology. Clinical psychology is pursued by individuals who wish to practice this as a healthcare profession. A:A psychologist is mainly authorized to provide counseling and advice. In most states, these professionals are not allowed to prescribe medication to their patients. In some states such as New Mexico and Louisiana, psychologists are allowed to prescribe medication. You can check what the regulations for psychologists are in your state. Q:Can you tell me about the job description of a licensed clinical psychologist? A:A licensed clinical psychologist is required to: provide sound and reliable advice to clients; diagnose problems such as depression, anxiety, addiction, and similar neurological disorders; devise treatment plans and rehabilitation plans; talk and listen to patients; keep abreast with changes in the professional field of psychology; and consult with other physicians and doctors. Q:How long does it take to become a clinical psychologist? A:It can take you 10-12 years to become a clinical psychologist. After completing your high school degree, you must pursue a 4 year bachelor degree and a 2 year masters degree. You can then qualify for admission in a doctoral degree in clinical psychology. All psychologists must have post-graduate degree in the field which takes around 4-8 years to complete. Q:What degree do you need to be a clinical psychologist? A:You must have a doctoral degree in clinical psychology. All clinical psychologists are required to complete a post-graduate degree in the field. This program can take anywhere from 4 to 8 years to complete. The program will cover important concepts and research-based topics, and will also provide students with hands-on experience. Q:How to become a licensed clinical psychologist? A:If you wish to prepare for a career as a clinical psychologist, you must complete the educational and licensing steps. Typically, clinical psychologists are required to have a doctoral degree in this field. This means you must first complete a bachelor degree and a masters degree in psychology. You can then complete a doctoral degree that will take 4-8 years to complete. All clinical psychologists must be licensed by relevant boards or authorities in their state. Q:What are the types of clinical psychology degrees? A:Clinical psychology is a branch of psychology that emphasizes behavioral disorders and their treatment. This field is offered for study at all levels of post-secondary education. You can pursue bachelors, masters, and doctoral degrees in clinical psychology. There are also a number of recognized organizations offering certifications in this particular branch of psychology. Q:Is a clinical psychologist a doctor? A:Usually, the term "doctor" is associated with a medical doctor (MD). However, an individual who has completed a doctoral degree is recognized as a doctor of their field. Clinical psychologists are professionals who treat patients with psychological or behavioral disorders. Depending upon which state they live in, they may not be authorized to prescribe medication. Q:Is clinical psychology a good career? A:If you have the passion to help people in need, this career can be a suitable choice. Clinical psychologists spend most of their time treating patients suffering from psychological disorders and behavioral issues. The career can bring you a sense of achievement and self-satisfaction. According to the US Bureau of Labor Statistics, psychologists made a median annual income of $69,280 in 2012. Q:Are there any doctoral requirements to be a clinical psychologist? A:Yes, to become a clinical psychologist you must have a doctoral degree in this field. This is a post-graduate degree that focuses upon research and advanced training. The program can be completed in 4-8 years. Most states require clinical psychologists to hold a doctoral degree and a professional license to practice. A:Clinical psychologists aim to decrease distress and improve the psychological welfare of their clients. They usually work alongside other professionals in multidisciplinary teams in order to deal with patients. Their work revolves around dealing with illnesses such as: Anxiety and depression, Addictive behaviors, Personal and family relationships, Childhood behavior disorders, and Neurological disorders. Q:What is a clinical counselor? A:Clinical counselors help people deal with difficult life events via psychological means. Events such as death of loved ones, relationship problems, divorce or chronic physical illnesses causing depression all fall under a clinical counselor's job description. Being a clinical counselor, you can work with various types of clients, including individual and family services, hospitals, inpatient and outpatient mental care, identifying cases of abuse and risk of suicide or self inflicted harm.